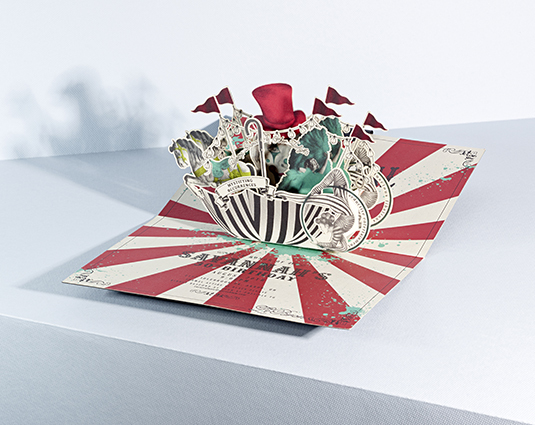 The annual Christmas party for this client required a special invitation to thank their employees for the years’ work. 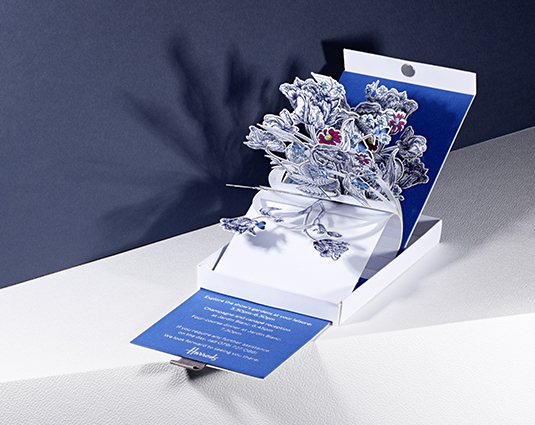 A simple and elegant invitation was required and Cutture wanted to create something that could sit comfortably on their desks to create a buzz in the run-up to their event celebrating Christmas. 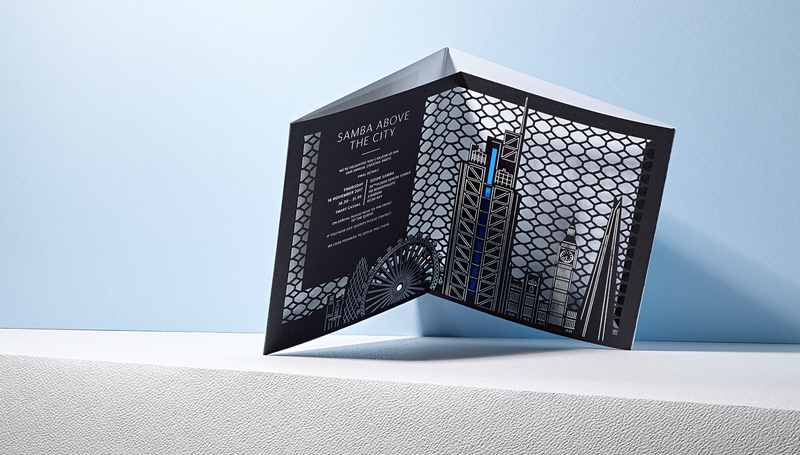 With the destination of the sought after Sushi Samba in Heron Tower, the invitation featured a laser cut London skyline with silver foiled details with a blue metallic strip to highlight the tower’s lift. 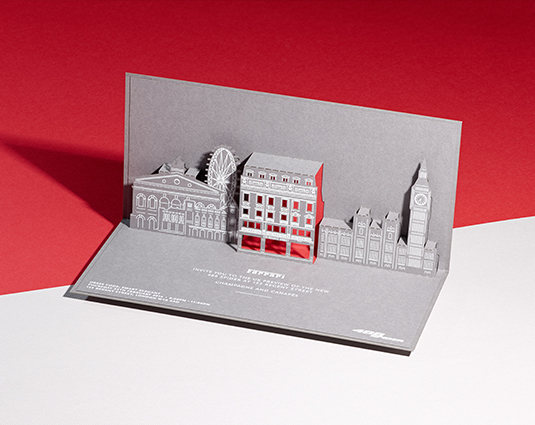 The invite was delivered flat in an unassuming envelope, for the big reveal once received.